I’m sure if I asked, you would probably be able to tell me about your favourite Indian or Thai curry, Chinese noodles, or Vietnamese grilled meat dish. But if I asked you for your favourite Philippine dish, I’d get a blank stare. The Philippines is one of of South East Asian neighbours, and probably the third largest immigrant population in Vancouver, but you may not know. 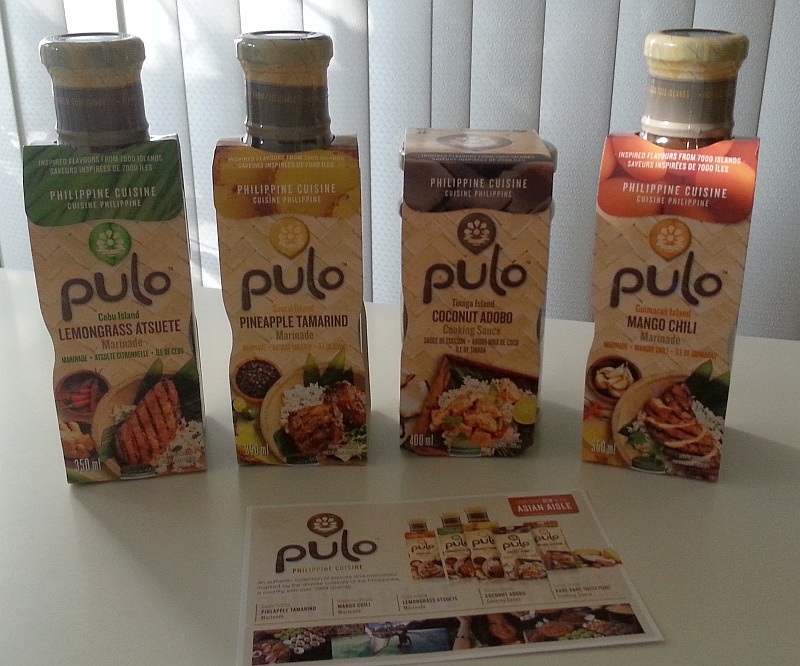 Their cuisine takes bits and pieces from Malay cuisine, China, and Spain, and combines it with their fresh seafood and love of grilling, and vinegar-based sauces to give you a completely different Asian flavour. Instead of big spicey flavours, you get more vinegar and garlic, sweet bbq, and mild coconut milk flavours. A cuisine that I think you should try, just for the fusion from all these different countries. 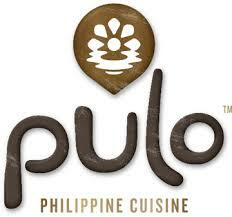 Pulo by the way is the Filipino word for “island”, and there are more than 7000 islands that comprise the Philippines. All these sauces are vegan friendly. I recently received all but the Kare Kare Toasted Peanut Cooking Sauce to try. This article is about my experience with the Tinaga Island Cocconut Adobo Cooking Sauce. What is coconut adobo sauce? Well there are two main components. One is coconut milk, which adds rich creaminess to this dish. The other half “adobo” is a traditional Philippine dish that is made by slow cooking meats or vegetables in vinegar, garlic, and black pepper. This dish combines the two, so is not 100% traditional, but it is very flavourful. If you like a mild curry, you may want to try this cooking sauce. It has light pepperiness, garlic, sourness from vinegar, and the creaminess from the coconut milk. Tinaga Island is part of the Bicol region (Central Philippines), an area renowned for hot chili and coconut milk dishes. It is one of the few areas that adds chili spice to their food in the Philippines. Cooking with this sauce was relatively easy. They recommend cubing 4 chicken breasts (or the equivalent for pork or beef) and chopping 4 cups of vegetables for this dish. I used chicken drumsticks which I had on hand. 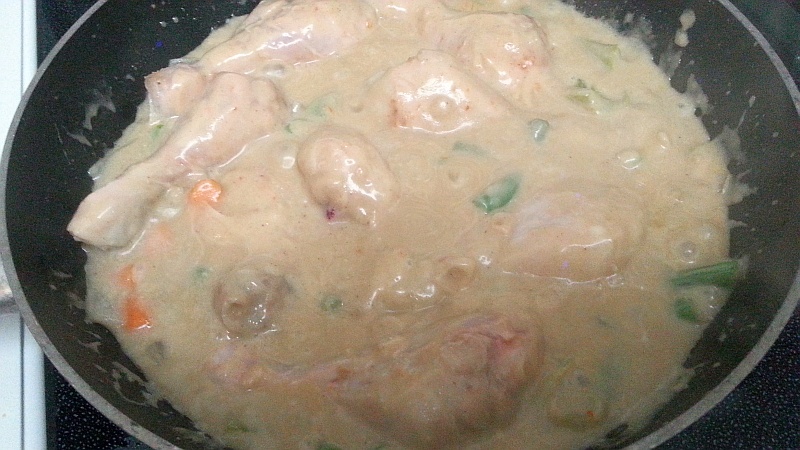 Start off with frying the chicken in oil, add the vegetables, and sauce and them simmer till done. Serve with rice. For vegetables I used onions, green beans, green pepper, and carrots. I would recommend to cube one potato and add it to the mix because I enjoy squishing the potato in the sauce on my plate and getting every last drop of flavour. I enjoyed the flavours of this dish, and I think that it is worthwhile to try out on your own, with your family and friends. Wine Pairing and Where to Buy these Sauces? If you would like to drink some wine with this dish, I would recommend a Chenin Blanc from the Loire Valley in France or from South Africa, or a dry Riesling from BC, Washington, or Australia. Both have enough body and acidity to cut through the richness of the coconut milk, and both grapes are known for being very good food pairing wines. In time I will try out the different dishes and give you an update here on my blog. I have found these sauces for sale at Choices Market, but you may want to check other grocery stores, in their Asian aisle.